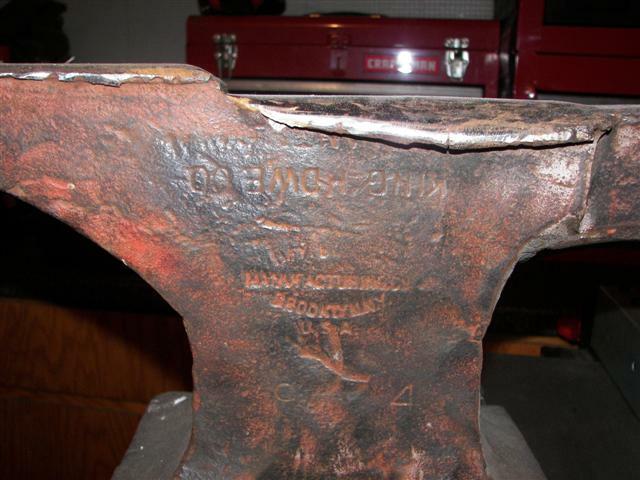 One of my very first anvil restorations involved an old “King Howard” (most likely Hay Budden as it was made in Brooklyn, NY) anvil. 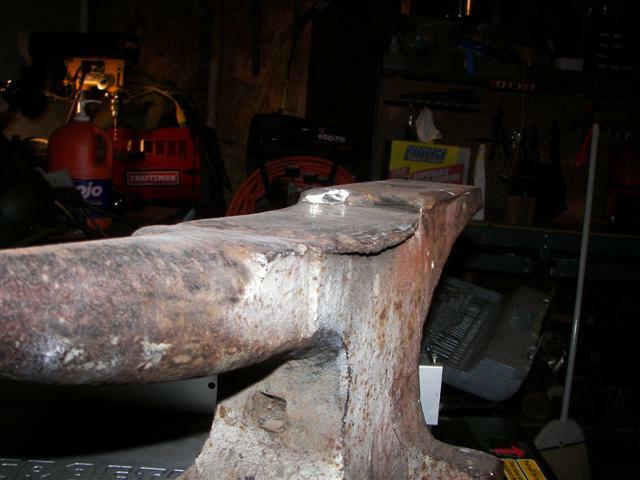 As you can see in the photos, half of the tool steel plate is missing (nearly all anvils made in America were a cast or wrought iron body with a hard tool steel plate forge welded to the top). 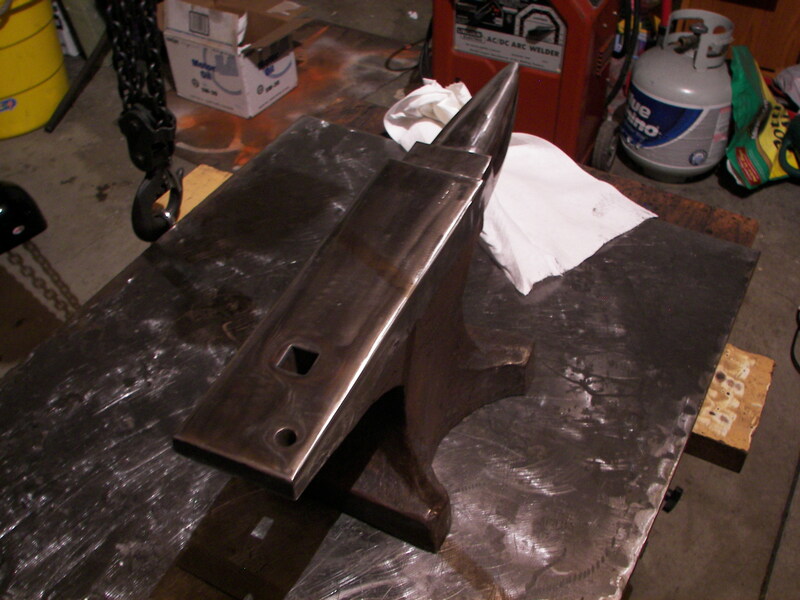 My first job was to grind off the “mushrooms” and prep the surface for the welding (I used a 4 1/2″ angle grinder with an 80 grit disk for this part of the job). This is definitely a fun and rewarding job, but it is not cheap. 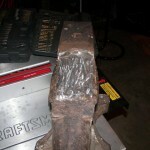 Hardfacing rods are expensive and you will spend a lot of time and money doing this. 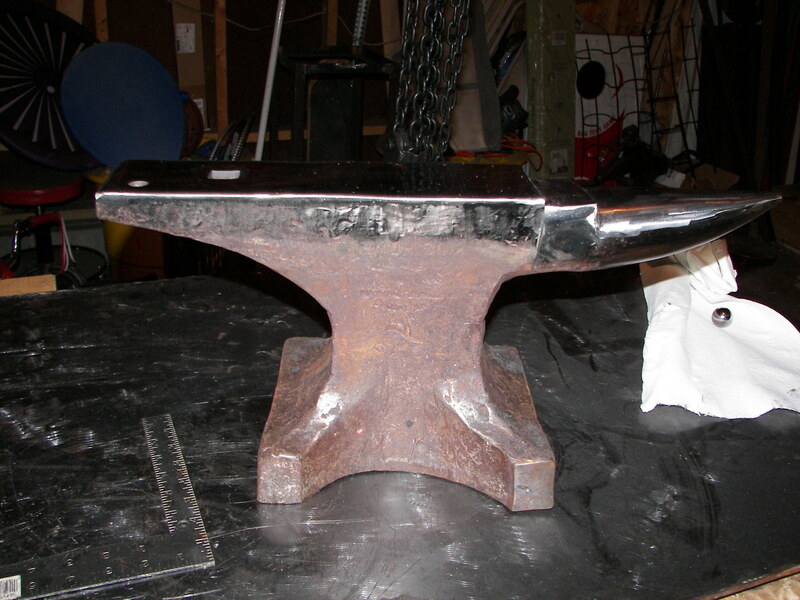 Fortunately I bought this anvil very cheap due to it’s condition, and the repair itself ended up costing me about $50 to $60. 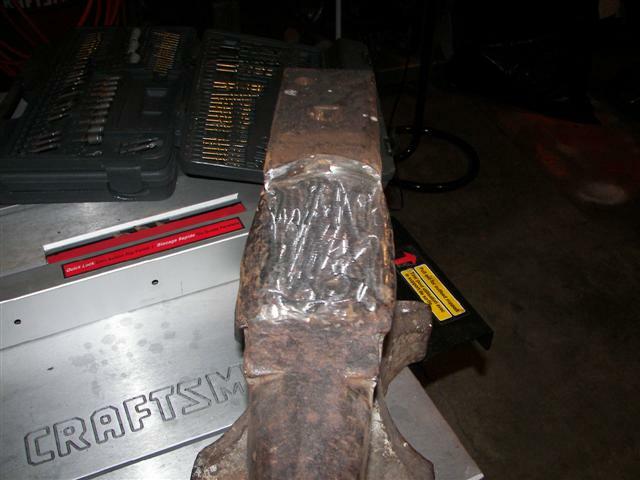 It doesn’t always make sense to repair an anvil! Sometimes it’s best to save your money for a better one, especially if you do not have the expertise in metalworking to pull it off or the equipment to do the welding. 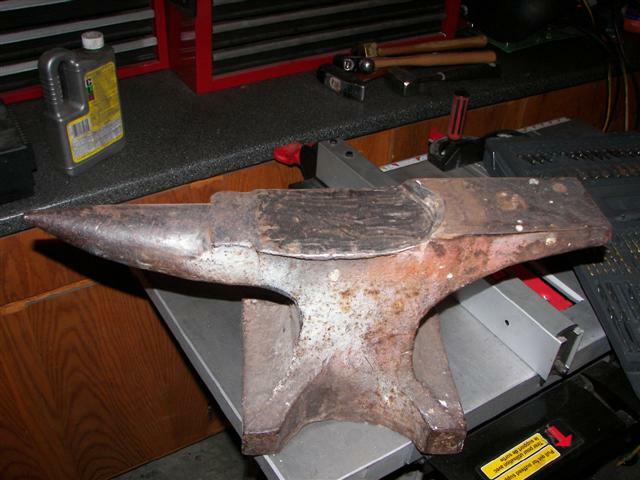 Besides, these broken anvils are not unusable. 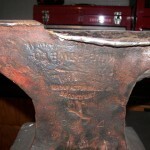 This particular anvil still had a horn, a hardy hole and a pritchel hole as well as some useful hardface left. 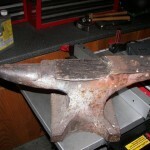 You would be surprised at what you can make even with damaged anvils! Unfortunately my copy of Anvils in America got destroyed and I can no longer look them up. 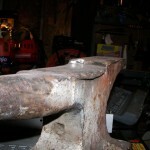 You may want to join the blacksmithing site http://www.iforgeiron.com/. 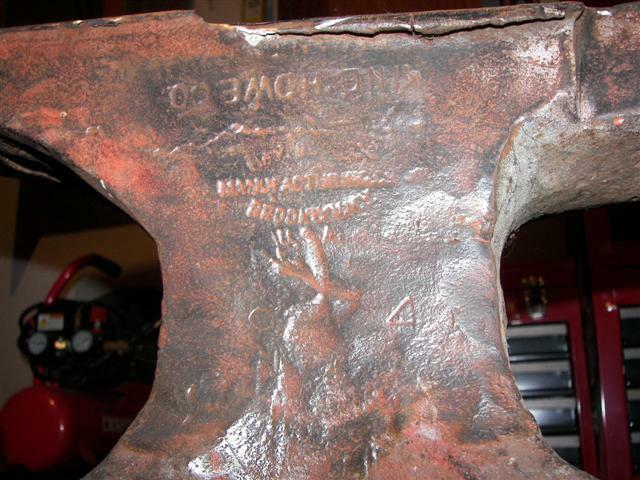 There are tons of folks on there who can help you ID your anvil. Lots of great information over there. I need my 125 Peter Wright fixed! 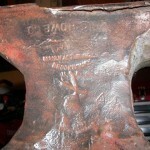 It’s got chunks and puts all out of it makes forging knives tough . I’m in my who can help me . Best bet is to visit https://www.iforgeiron.com/ and ask the folks over there. They can tell you best how to fix it, or if it’s best to just leave it be and work on it as-is.